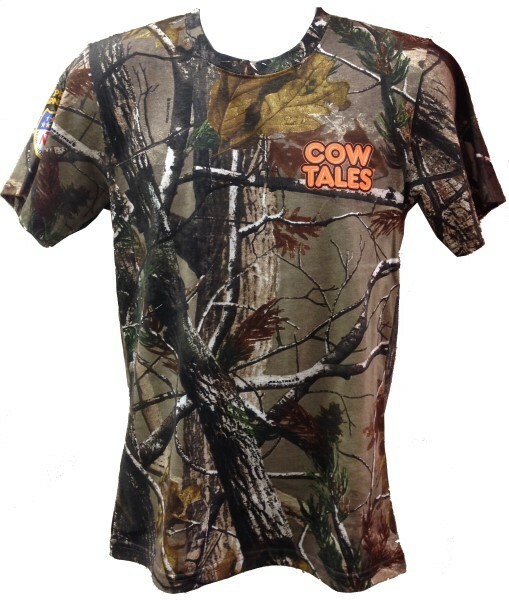 Get a FREE Cow Tales Cup with every Cow Tales T-shirt purchase, while supplies last! 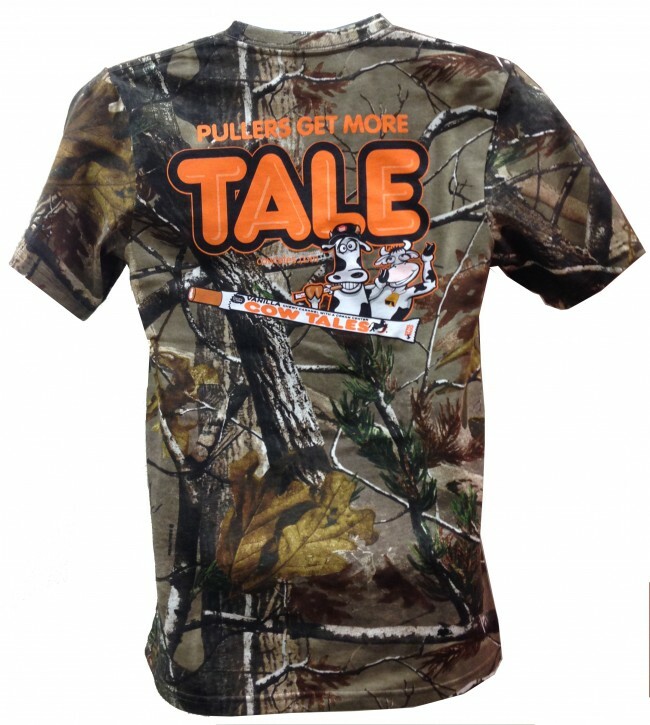 Everyone's favorite caramel cream candy is back with a new Realtree® CAMO shirt! 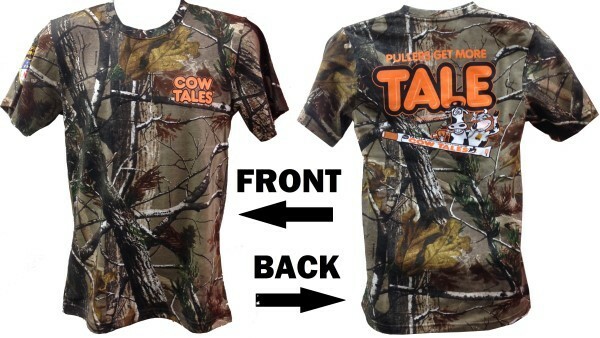 "Pullers get more Tale" logo on back, "Cow Tales" on front chest, NTPA shield on sleeve.